Tim Clark isn’t the only “Young Farmer with Old Values.” My name is Danielle (Hammer) Clark and I am a fifth generation farmer. 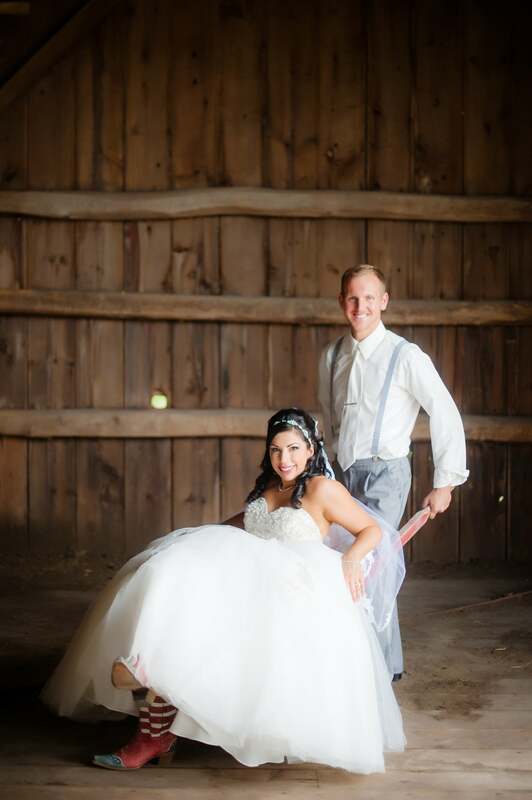 Tim and I were married on June 14 and together we share our faith, morals, values and agricultural dreams. 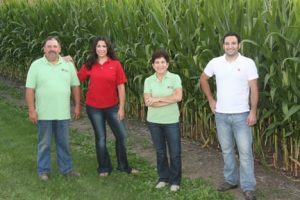 My parents, Charles Hammer and Nancy Kavazanjian, continue the farming tradition on our 148 year-old farmstead in Beaver Dam. We grow corn, soybeans, wheat and a small amount of other forages to feed the newest addition to our farming operation (more on that later). While I grew up in a farm family – I hadn’t lived on a farm until two years ago. Farming was the farthest thing from my mind after high school graduation from Culver Academies in Indiana back in 2005. 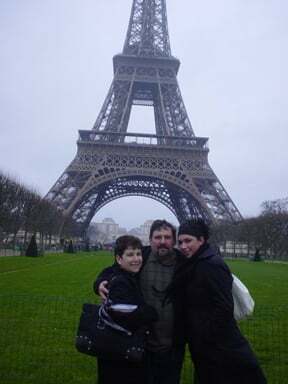 I followed my travel aspirations to Europe in 2007 for a three-month study abroad program. I liked the experience so much, I didn’t return for nearly three years. After moving back to the US, I was eager to pursue a degree in agricultural business at UW-River Falls and become involved in the industry. Why agriculture? I was finally ready to follow my passion and life calling. In 2010, my mom encouraged me to join Farm Bureau where I quickly met other young farmers passionate about agriculture. One year later, I met Tim at the Young Farmers Ball. In August 2013, Tim and I became business partners with the purchase our first beef-heifer calf. Within the past year we have grown our herd to 18 animals with plans to double by the end of the year. The past two years of living on the farm and raising livestock has presented many opportunities to learn about myself and what it takes to be a farmer. These lessons are just the start to a long, life-fulfilling journey as a farmer, business partner and wife. 10. Every day is unique and full of challenges. It is up to me to turn them into learning opportunities and make each day better than yesterday. 9. With life comes death. The great circle of life is a very difficult to understand, but it is a reality when raising livestock. Faith helps you see the bigger picture. 8. If you live in a farmhouse, it will never be completely clean. And that’s ok.
5. Friends are your best assets. Never underestimate them or their support. Never take them for granted. 4. There is no greater feeling than accomplishing a difficult job when no one is looking. 3. Working with family has its challenges. It also has un-measurable rewards. 2. God, family, farm. Then comes everything else. 1. Life happens. God has a plan for each one of us. It’s up to us to accept the call.